Protestors began gathering at 6 p.m. Tuesday night at the intersection of Kula Highway and Old Haleakala Highway. Five years into the construction of the Daniel K. Inouye Solar Telescope on Maui, and the protests continue from those calling themselves protectors of the mountain. 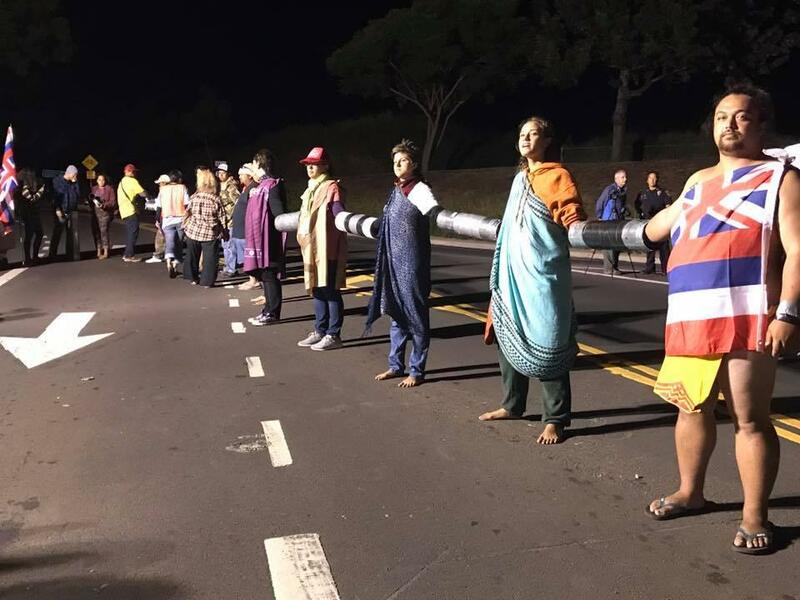 A dozen protesters used PVC pipiping to form a human chain across the road, in an effort to block the construction convoy from transporting telescope equipment to Haleakala. An early-morning attempt by protestors to block the delivery of telescope equipment to Haleakalā resulted in six arrests, including one man who was hospitalized. The goal for protesters was to block transport of a 3-ton mirror, a key component of the telescope. The construction convoy led by a half dozen police vehicles included four semi-trucks pulling wide-load trailers. 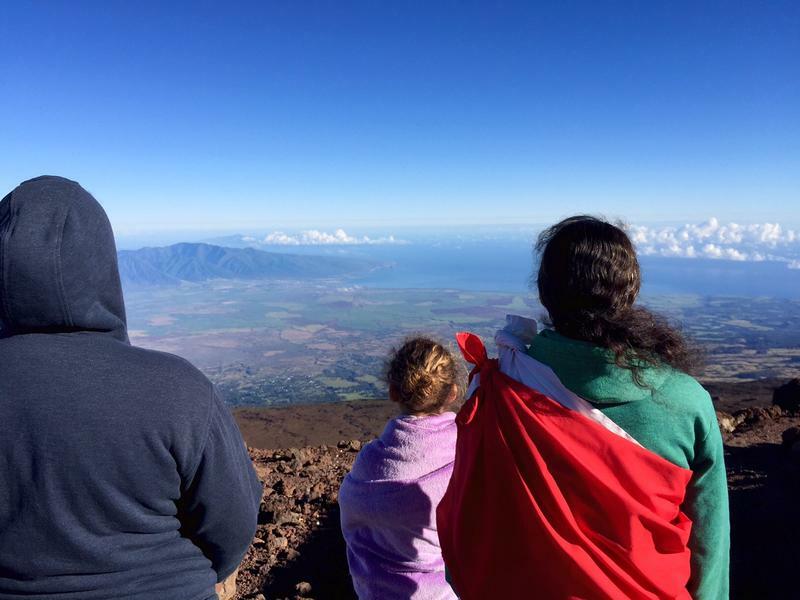 The protest was organized by a group called Kākoʻo Haleakalā, which stands in opposition to the further desecration of sacred space. An issue very familiar to Kahoʻokahi Kanuha. Kanuha continues to organize opposition to the construction of the Thirty Meter Telescope on Mauna Kea. 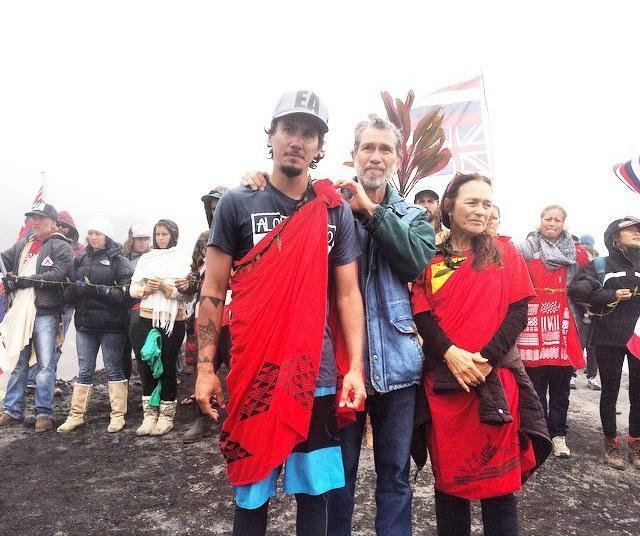 Kaho'okahi Kanuha leads protests on Mauna Kea against the construction of the Thirty Meter Telescope. "Unnecessary development on our sacred mountains. That’s the issue on Mauna Kea and that’s the issue on Haleakalā," says Kanuha. Construction continues on the inside of the Daniel K. Inouye Solar Telescope. Once complete, the telescope will be the largest solar telescope in the world and will be able to provide the sharpest views of the solar surface, which will allow scientists to learn even more about the Sun and solar-terrestrial interactions. 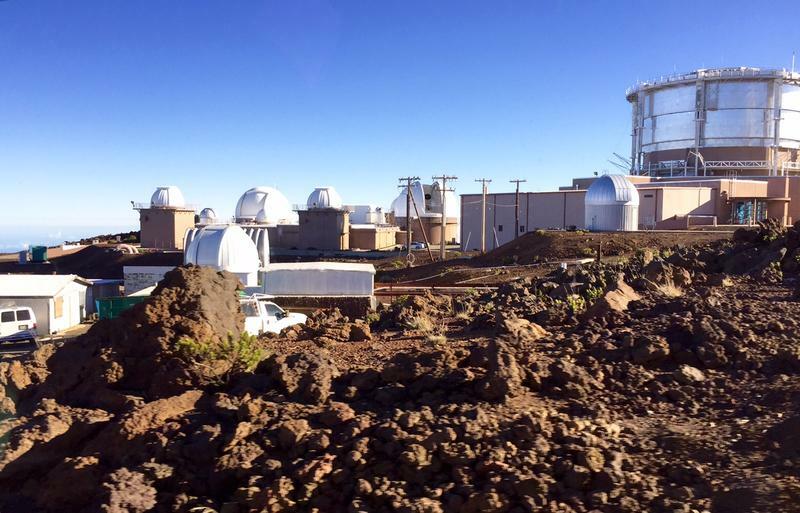 The Haleakalā protests come exactly one week after a former Circuit Court judge recommended the TMT project proceed. 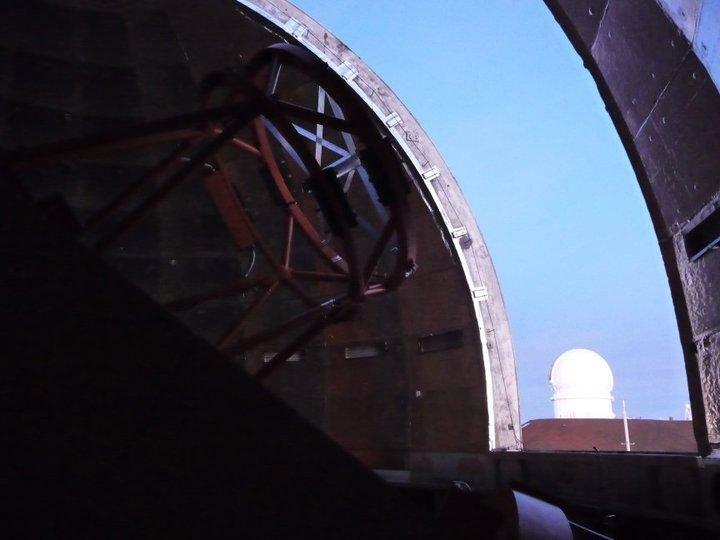 "For the Maui issue, the telescope is far along in its completion. Yet, people continue to resist," says Kanuha, "That although it may seem like a done deal, and although it may seem like there’s nothing you can do about it. People still laid down in front of trucks, still put themselves on the line." Construction of the $344 million solar telescope began in 2012.The exterior dome was finished in August 2016. 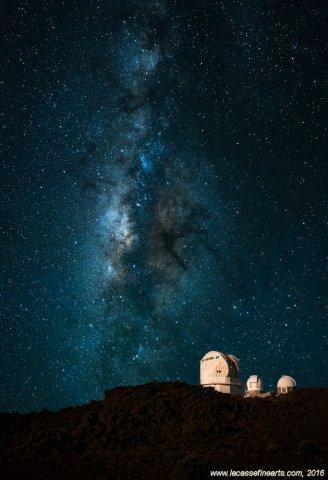 HPR was unable to confirm with telescope officials whether future transports of construction equipment would be required to complete construction of the telescope. If future transports of telescope construction equipment do occur, protests will likely continue. "What other choice do we have?" says Kanuha, "What other choice do we have? What do we have to lose?" Haleakala Telescope Transport Media Clips 8-2-17 from Hawaii DLNR on Vimeo.